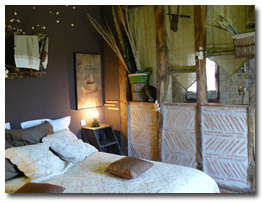 This room has a rustic country side charm with its own direct access to the outside. It is on the ground floor and is wheelchair accessible. 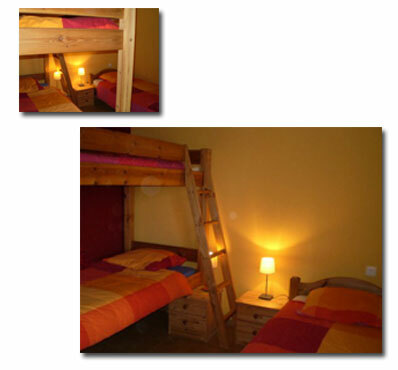 It has 2 single beds 80cm x 200 cm, a wardrobe and a wheelchair accessible bathroom with shower, toilet and hand basin. 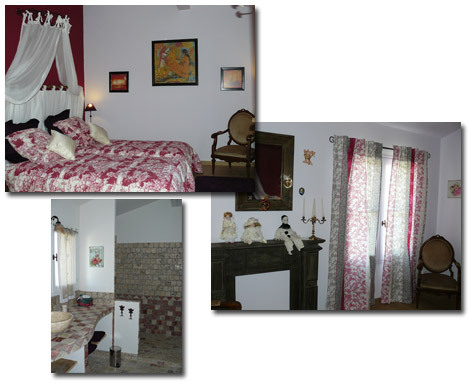 French Cancan has an assured retro ambiance and it overlooks the horse-paddocks and the Pyrenees. It has a double bed 160cm x 200cm and a single bed 80cm x 200 cm, wardrobe and small chest of drawers. The en-suite bathroom has a shower, double hand basins, towel radiator and a toilet. 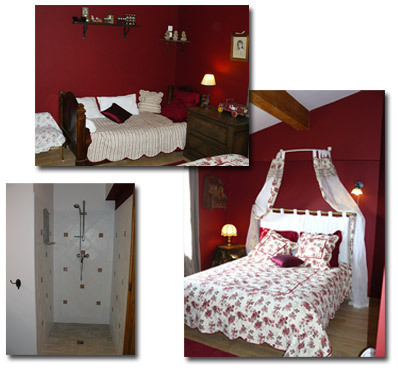 The Swan Lake is a romantic and luminous room with a four poster bed 160cm x 200cm and a single bed 80cm x 200 cm. It has a wardrobe and a small Louis XV chest of drawers. En-suit bathroom with bath-tub, two hand basins, towel radiator and a toilet. 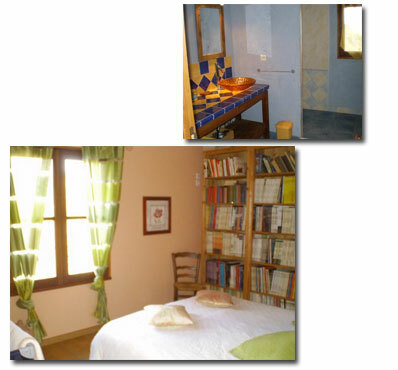 Carmen is a calm and tranquil room overlooking the vegetable gardens. It has 2 single beds 80cm x 200cm and a wardrobe. 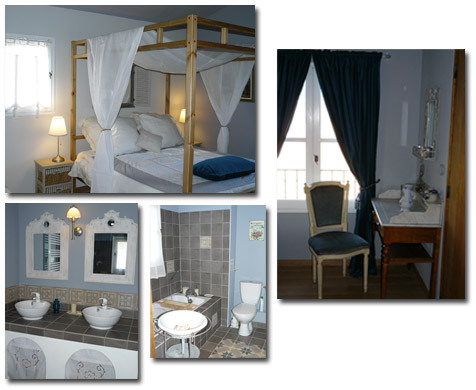 The en-suite bathroom has a shower, a marble topped washbasin and a toilet. Room decorated in shimmering colors, suitable for children and adolescents. Calm and serenity reigns in this room - an invitation to read. 1 bed (160 cm), wardrobe and brimming bookshelves. Separate shower room and wc. This large beddroom is like a journey to the orient: 1 bed (160 cm) and its dressing table. 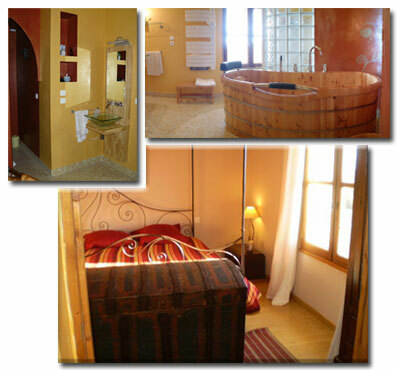 It is accompanied by a large bathroom in mellow copper tones: bath, shower, 2 sinks and toilet.